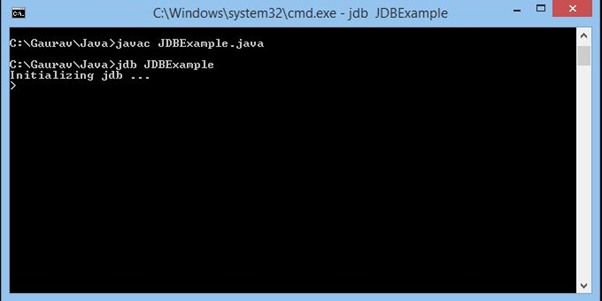 In this section, we will learn how to initialize and run java debugger with the help of an example. 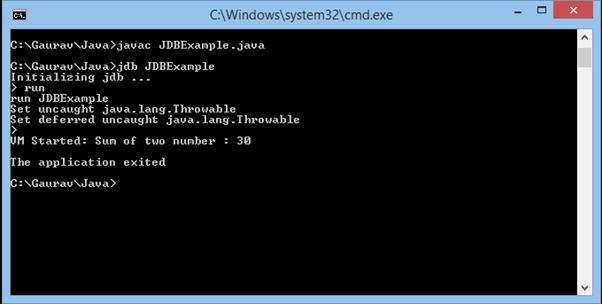 After the execution of command, the following result will be generated on the console. Note - After displaying the result, the application will exited automatically.